I bought a basket at Whole Foods market recently. 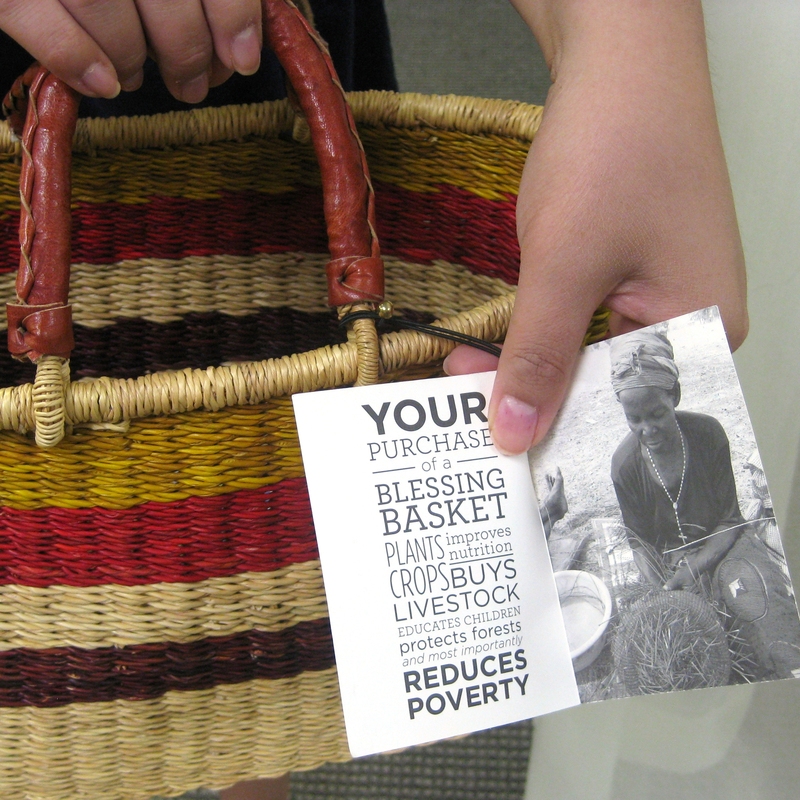 Your purchase of a Blessing Basket plants crops, improves nutrition, buys livestock, educates children, protects forests and most importantly reduces poverty. There is no hidden agenda. We simply work to end poverty in the lives of those we serve. I bought the basket because it is nice looking, well-made and functional. I then discovered that the purchase helped a cause. How nice, and it makes sense. That is how I would like our green product to be produced and sold. You are currently reading My Lunch Basket at Woven-Words.